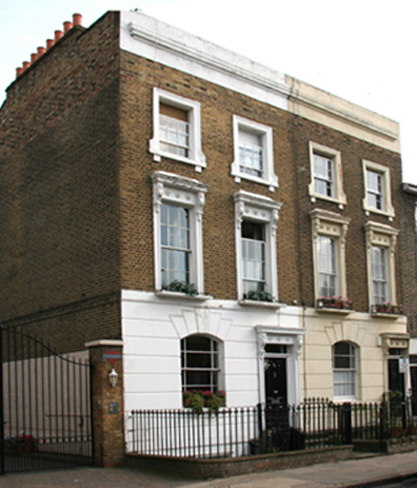 When Rupert moved from Chelmsford back to London he initially lived at 4 Richmond Street Barnsbury (top left) this is still a beautiful part of London, just of Thornhill Square. 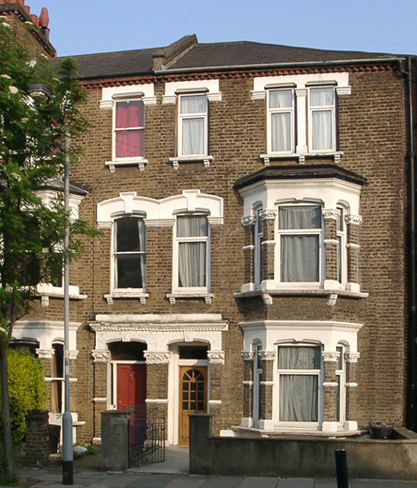 He next moved to 2 Fairbridge Road Upper Holloway. It was while living here that Rupert met Alice Crook from nearby Miranda Road. 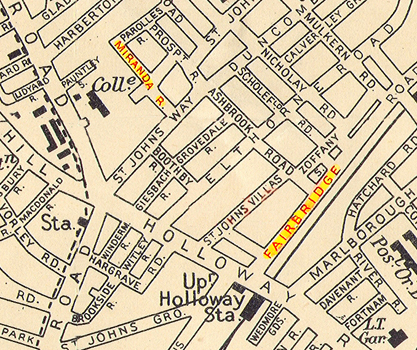 The map opposite shows the short distance between the two homes. 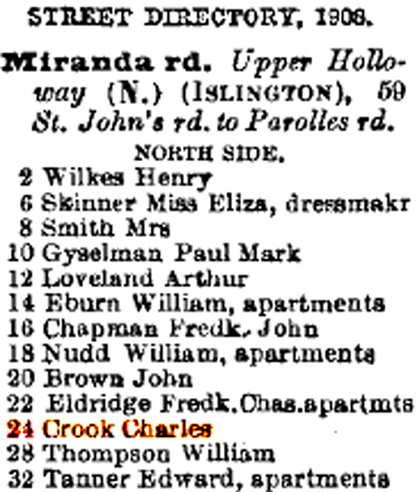 Directly below is a street directory from 1908 which shows Alice's father Charles Crook as living at 24 Miranda Road. 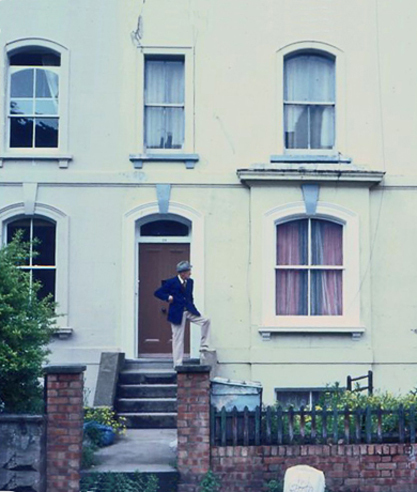 Below left is an historic picture taken in the 1980's of John Bernard Musgrove revisiting his old home in Miranda Road. Remember that he had lived here as a child.